Two weeks make a big spring time difference when you add a little sun. 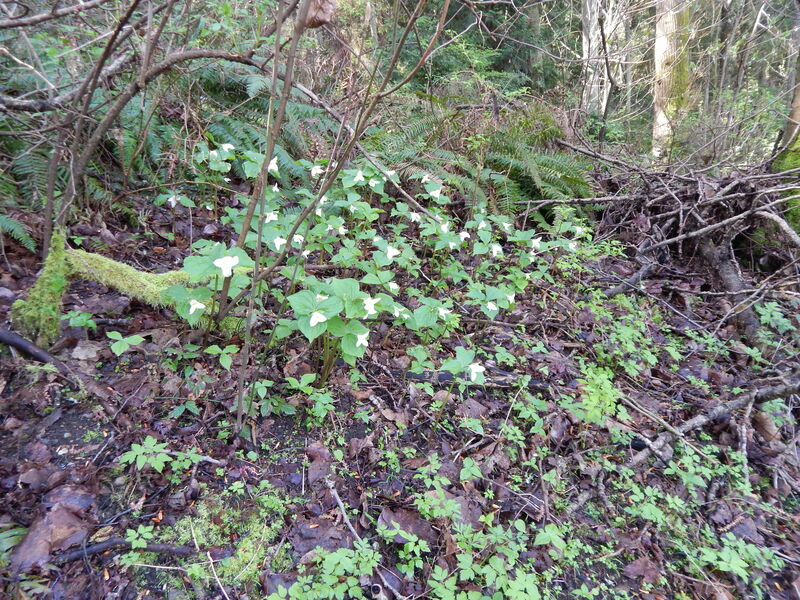 I was so worried about my favorite patch of trilliums at Fauntleroy Park that I went back today. 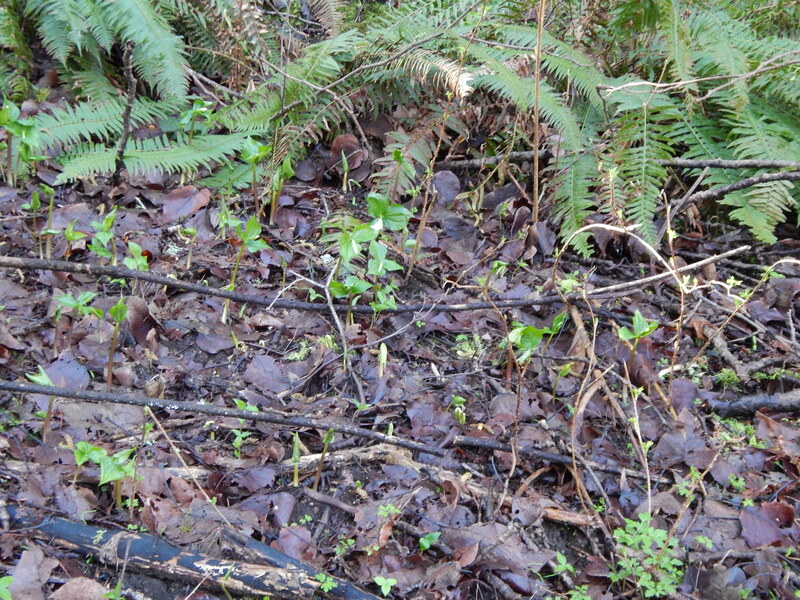 To help you compare how far they have come here is the comparison shot. 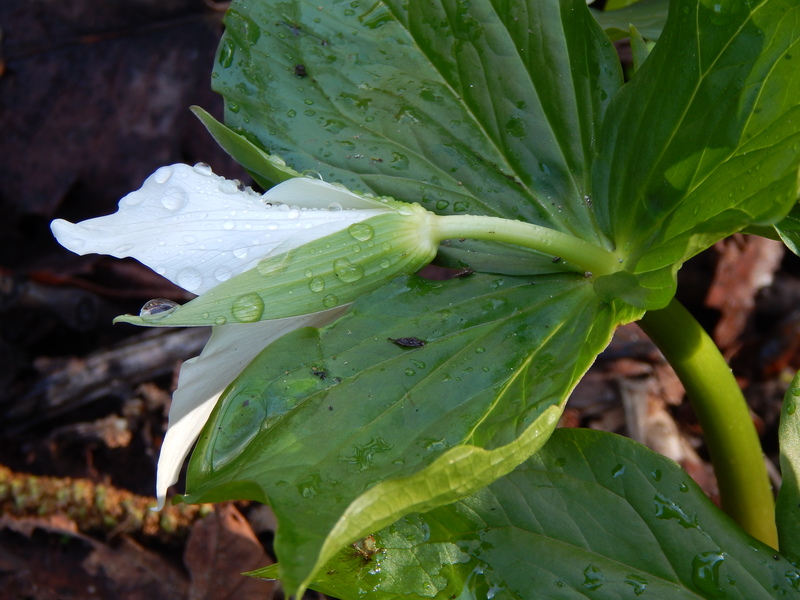 Trillium patch on Mar 19, 2017. Add a little dew to a blossom and what do you get? A great flower shot! The morning sun was making the forest sparkle. 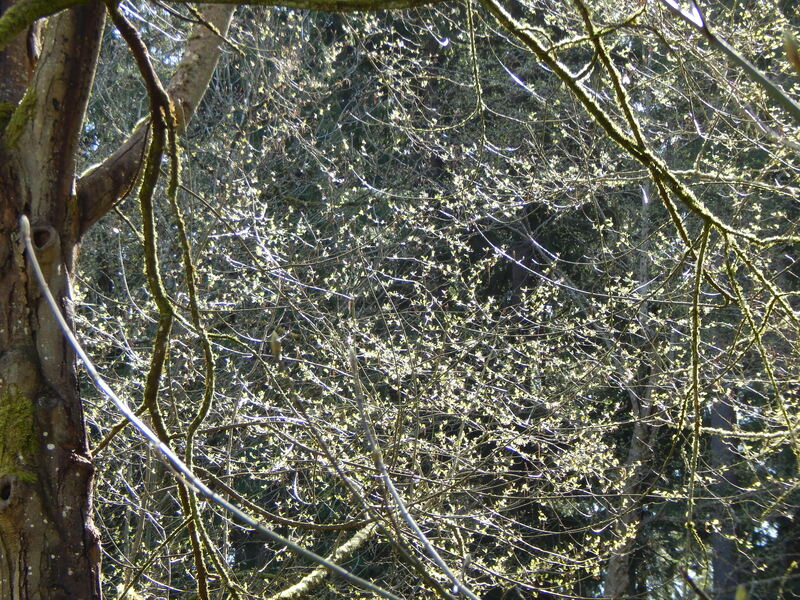 I leave you with glowing tree buds. Sun made the trees sparkle.